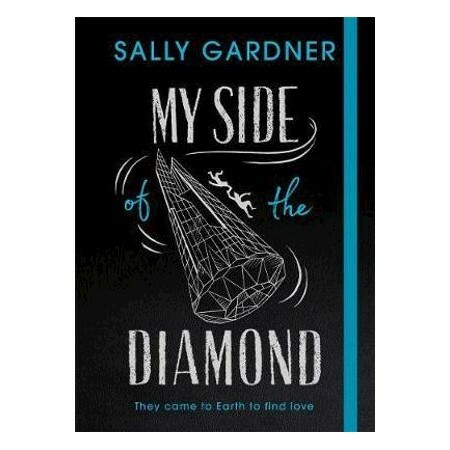 An extraordinary tale about the power of love from the acclaimed and Carnegie winning novelist Sally Gardner. Sally Gardner is a multi-award-winning novelist whose work has been translated into more than twenty-two languages. Her novel Maggot Moon (Hot Key Books) won both the Costa Children's Book Prize and the Carnegie Medal 2013. Sally's genre-defying novel The Double Shadow (Orion) received great critical acclaim and was also longlisted for the Carnegie Medal 2013. The Red Necklace (shortlisted for 2007 Guardian Book Prize) and The Silver Blade are set during the French Revolution, the film rights for which have been purchased by Dominic West. Sally also won the 2005 Nestle Children's Book Prize for her debut novel I, Coriander. She is currently writing the popular WINGS and CO Fairy Detective Agency Series (Orion) for 7-11 year olds - hailed as 'Agatha Christie for kids' - and has recently released her latest Young Adult fiction novel, which is a modern gothic tale called Tinder, illustrated by David Roberts (Orion).